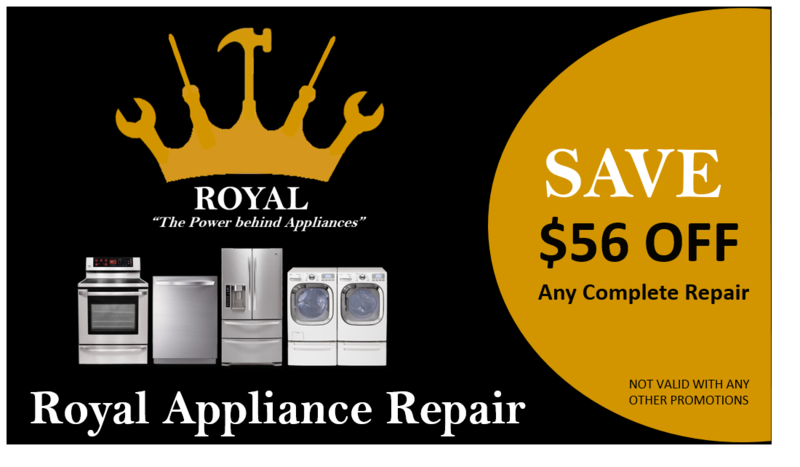 Royal Appliance Repair has a reputation for providing the best service in the industry. Refrigerators, Freezers, Air Conditioning/ Heating Units and Washing Machines and Dryers, Ice-Makers, Dishwashers, Range/Stove/Ovens, Garbage Disposals, and all other appliances. We provide service at a reasonable rate. We service, repair and install all major appliance. We provide a 100% satisfaction guarantee on our services.